I have created a webform (Drupal) for people to register for an event. I am trying to avoid creating duplicate individuals if they already exist in Civi when they register, but at the moment whenever there is a registration it always creates a new contact, even if they already exist. 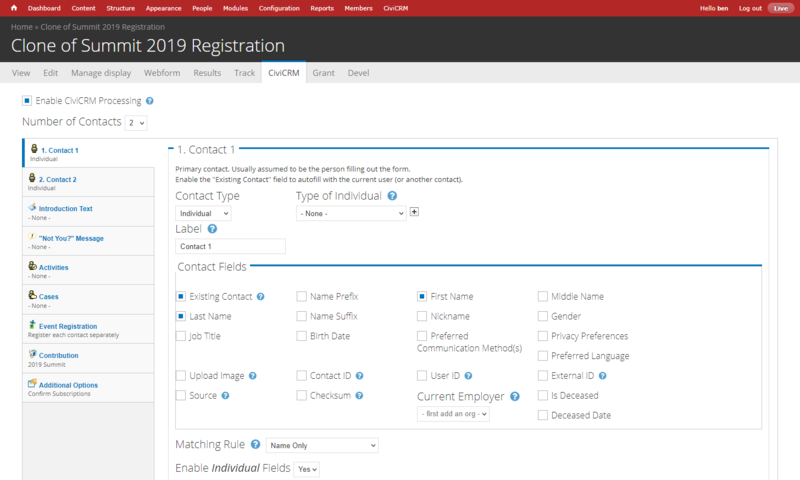 When setting up the webform, in the Civi settings I selected Existing Contact, but kept the Existing Contact component hidden and set to static. I have included First Name, Last Name and Email fields. For the Matching Rule under the contact fields, I have set this to a custom unsupervised rule that just does a check on first name and last name. However, even with all these settings, it is still creating a new contact every time for the event. Am I misunderstanding the way event registrations work? I want to avoid getting existing contacts to login to Drupal before registering if possible, as I want to keep the form as simple as possible. Would it make a difference if I used a profile form instead? 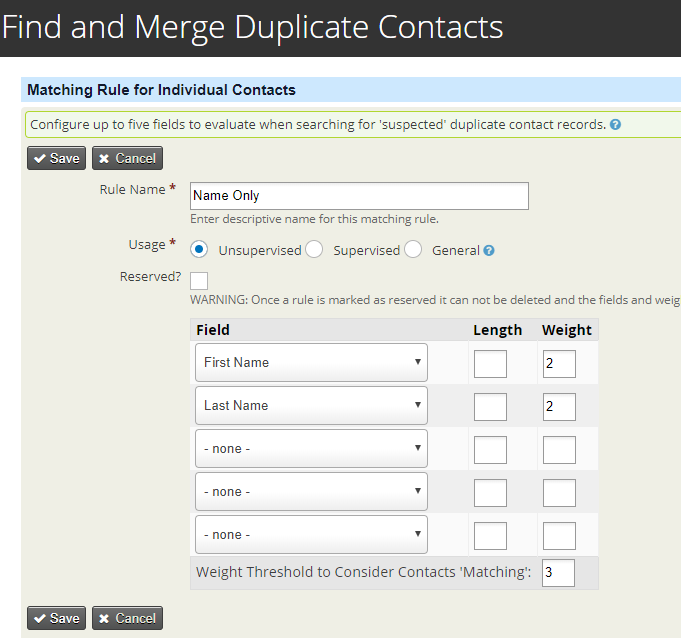 If I cannot solve this then I guess I can always merge contacts afterwards, but it would be nice if duplicates weren't created in the first place. I'm using Civi 5.9.0 with Drupal 7.61. Browse other questions tagged civievent drupal webform-civicrm duplicate-contacts or ask your own question. Event registration using External Id to match contact. How to setup email verification for newsletter signup using webforms?